The Big Four of Business is designed for the entrepreneur or business owner. Putting all of the pieces of a business can be really challenging and quite honestly a lonely place. Our team provides you with over 300+ years of combined experience in serving business owners, their businesses and families. Our team of professionals include Certified Financial Planners, Business Strategist, Tax Strategist, Certified Public Accountants, Marketing Professionals, Real Estate Professionals and more. This team will help to provide the clarity, peace of mind and business that you have always desired. Whether you are an established business or just getting started it is important to master the four key elements of any business. 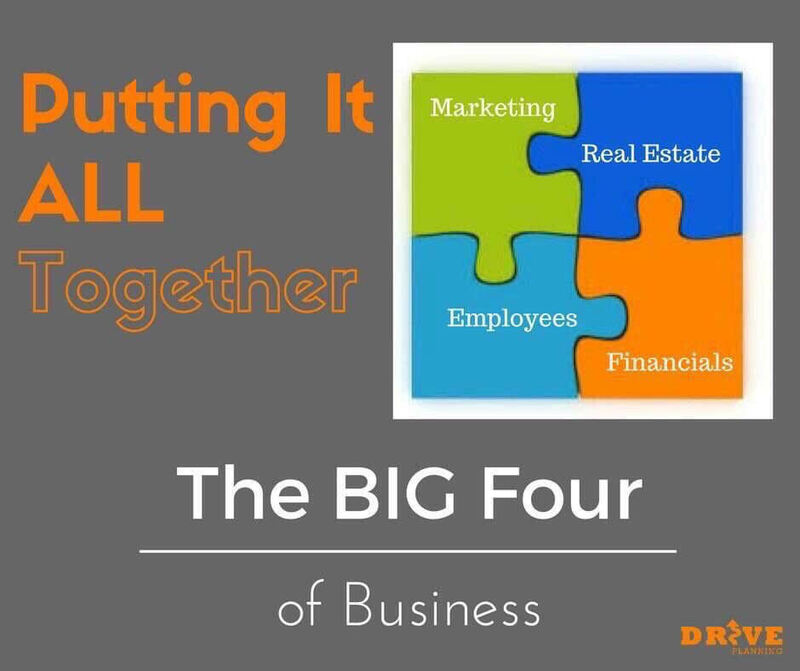 The Big Four is made up of Marketing, Human Capital, Real Estate and Financials. All revenue begins with marketing. There are no sales or cash flow until someone know that you exist. Therefore we want to begin with our focus on marketing and the relevant numbers associated with marketing. Yes, we said, numbers. Marketing is much more of a “nerd” sport than most give credit. Knowing the key numbers is essential to any good marketing strategy. Putting together all of the pieces can be overwhelming but when working with a skilled team in place you can spend more time enjoying your life. If you would like to learn more about The Big Four Package we would like to invite you to a phone call or a visit to one of our offices near you.